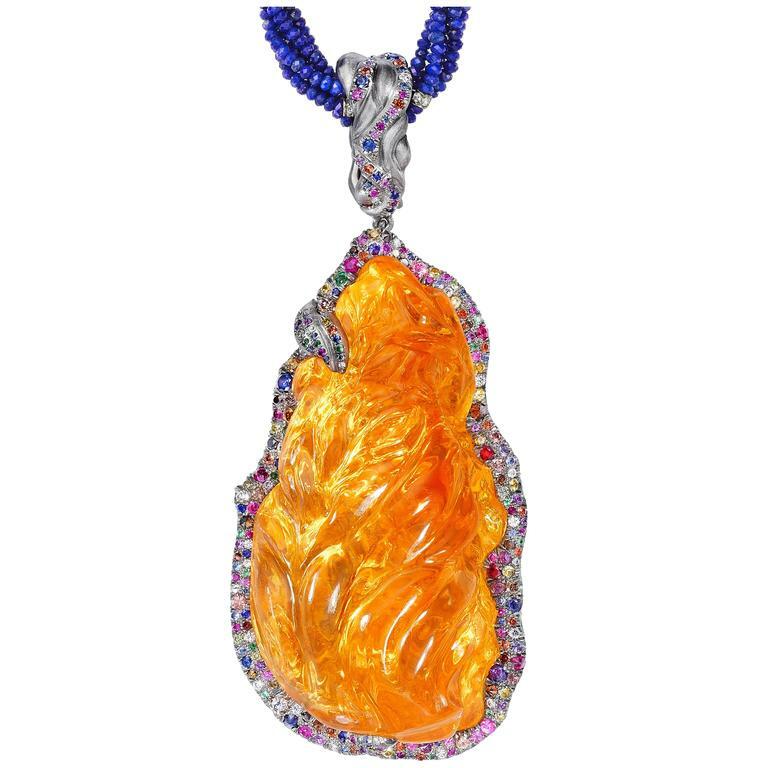 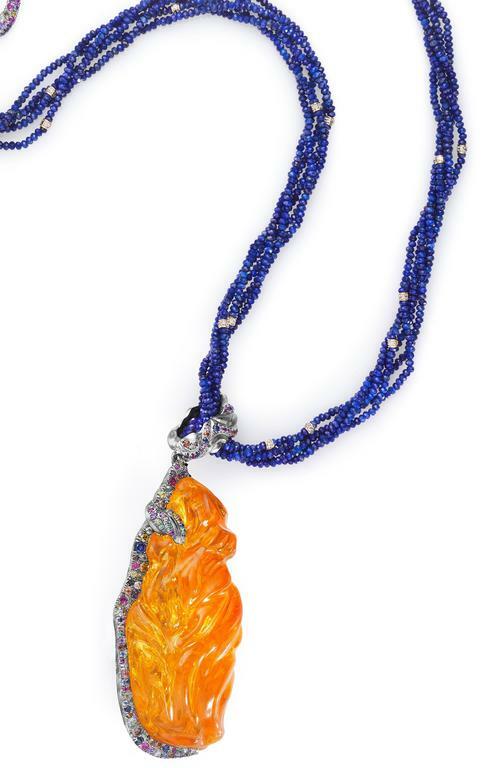 This museum quality pendant is a 108 carat Mexican fire opal hand-carved by Naomi. The opal is of uncommonly large size and excellent clarity. 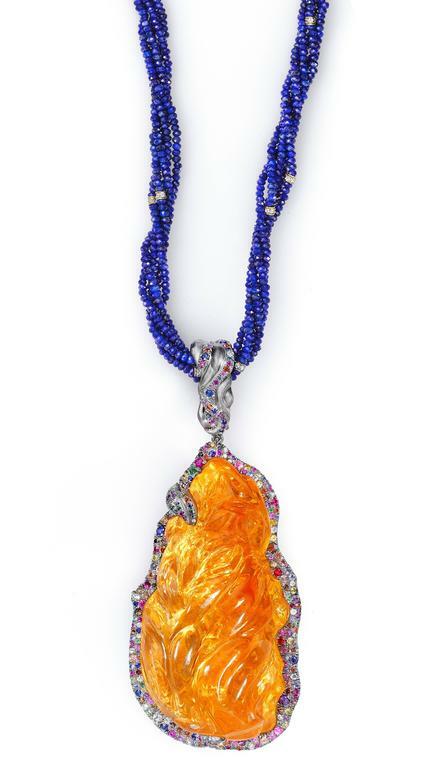 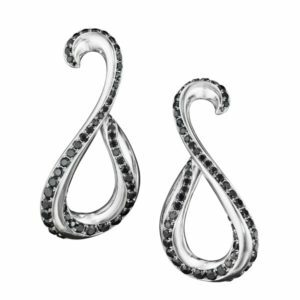 It is set in hand-crafted 18K natural white gold encrusted with bright multicolored diamonds, sapphires, and amethysts. 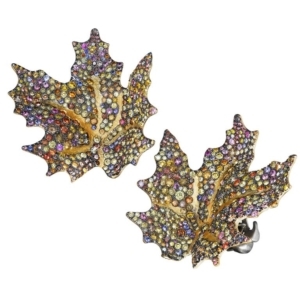 The back is delicately hand-engraved with an intricate frost pattern. 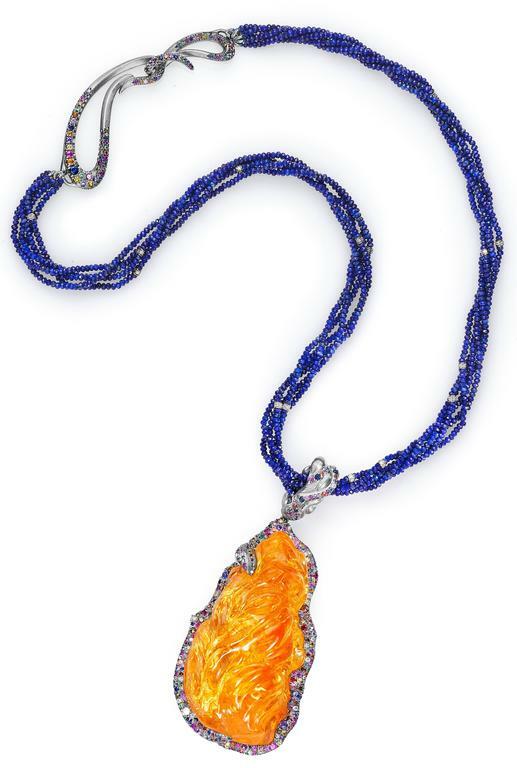 It is suspended on a complimentary 18K natural white gold bail also set with multicolored diamonds and sapphires. 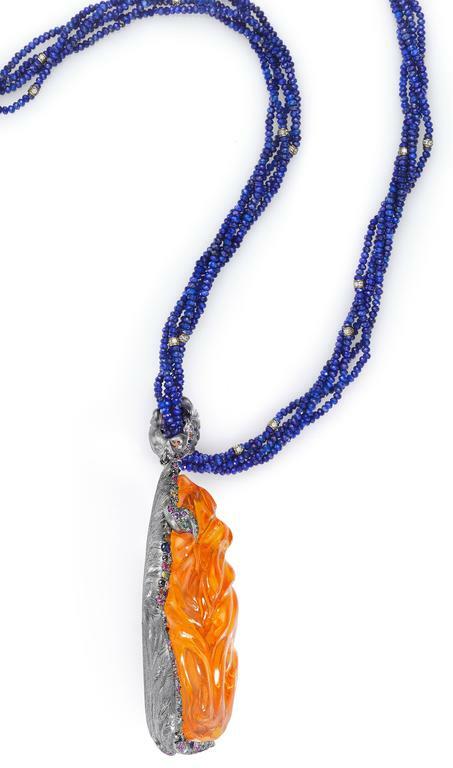 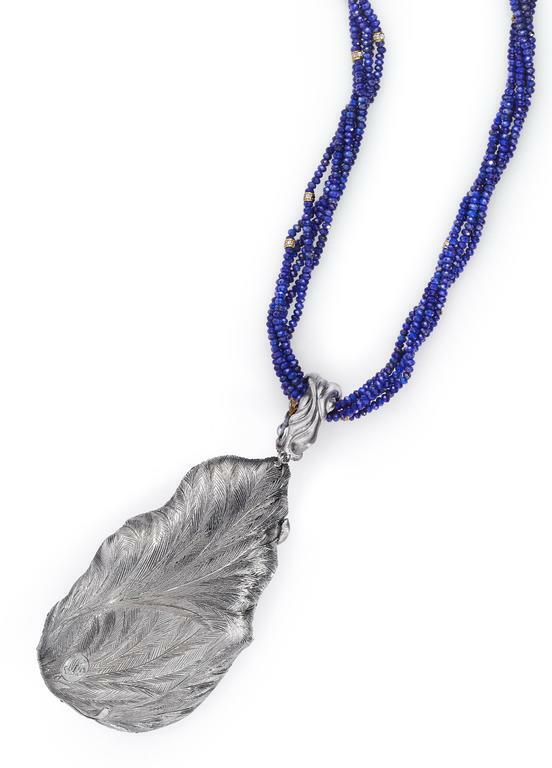 The necklace is composed of 3mm faceted lapis beads and 18K white gold and diamond rondelles set with VS-FG white diamonds. 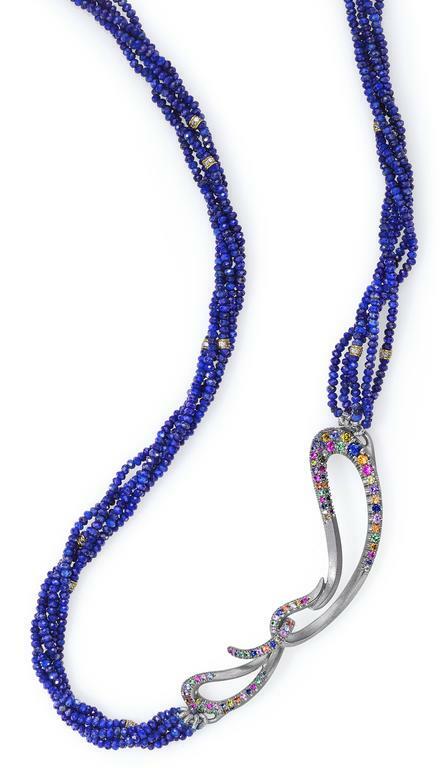 Naomi’s Signature Clasp, also in 18k natural white gold with multicolored diamonds and sapphire, completes this extraordinary, one of a kind work of art.